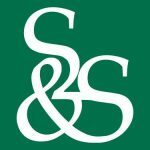 Suttle & Stalnaker is an accounting and business consulting firm located in Charleston, Morgantown, and Parkersburg in West Virginia. They offer a full range of services that include accounting, tax preparation, and tax management consulting, payroll processing, among others. Work For Suttle & Stalnaker, PLLC? Claim This Page.